A warm welcome to the Governor's section of the school website. My name is Jen Shearman and I am the Chair of Governors for Barnsole Primary School. Others Governors work closely with me to form Barnsole's Local Governing Board. Our strong and committed team include parents of children at the school and other individuals with a range of professional backgrounds. We are all volunteers. Our role as a Local Governing Board is a strategic one. we do not get involved with running the school on a day-to-day basis, however we ensure that the school's leadership team have everything in place to enable all children in Barnsole to feel safe and progress in their learning. Some of the ways we do this are by looking at pupil data and reading the School's Development Plan. We can then support the SLT in ensuring that this plan is followed, and challenge them in areas that we would like to know more about. 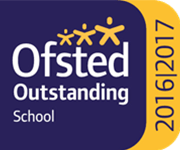 We have formal meetings and regularly visit the school to look at the children's learning, and talkt to staff and parents. If you want to know more about Governance at Barnsole, or are interested in becoming a Governor then do contact the school office. I was elected as Parent Governor in October 2018. This role is completely new to me so it is going to be a big learning curve but I look forward to the challenge! I have four children; two at the school now and two that were previously at Barnsole. I work as a lorry driver for Waitrose and Partners. I am a Westminster based Civil Servant with over five years’ experience in major project governance and management. As well as a drive for good governance, I have a passion for ensuring, wherever possible, children have the opportunity to strive and achieve. I have two children attending Barnsole Primary in Years 3 and 6 and I have been a Governor for eighteen months. In my spare time, I enjoy playing tennis at Avenue Tennis and trundling around the south-east to watch my kids compete. I have been involved at Barnsole Primary School for over four years, firstly as a Parent Governor and now as a Trust appointed Governor. During this time, I have taken on responsibilities for SEND and safeguarding and, as part of my safeguarding role, attendance comes under my remit. I enjoy my Governor role which, over time, has gone through many changes, including becoming part of Barnsole Primary Trust. All of these changes have been a great learning curve for me and it has been great to see the school and the Trust develop and change. I enjoy spending time in the school and seeing how the school supports children and families throughout their time at Barnsole. Aside from my Governor role, I have one son who attended Barnsole and has now moved on to secondary education. I have worked in education for adults for many years and currently work for a charity that provides care and housing for older people, as Learning and Development Officer. I was recently re-elected a Parent Governor for a second term of office. I have had two children pass through Barnsole and another two that currently attend the school. I want to be able to give back to my community by volunteering my time in this way. I very much enjoy my role as a Governor and find the position both challenging and rewarding. Outside of being a Governor, I work for British Telecom as a manager of a team of electronics engineers. I have also enjoyed coaching football for a number of years, at grass roots level, for local teams in Medway. I joined the Local Governing Board in 2018 and am the current Minister for Gillingham Methodist Church. Before moving to Gillingham, I had previously served in Bracknell, working alongside three primary schools developing Holiday Club programmes and served as a local Governor in a village school for four years. I then moved to Brighton to work in a city centre church, building strong links with the local primary school. In Brighton, I also worked as the chaplain to Brighton and Sussex University. Prior to becoming a Governor, I was actively involved in Barnsole Primary School through leading assemblies and the Christmas concerts. I feel it is a real privilege to serve the school and local community, and I am thrilled to do this in my capacity as a Governor appointed by the Trust. I am keen to see the strong links the school has with the local community continue and develop. I am very proud to be a local Governor at Barnsole Primary School. My day job is a senior lecturer in secondary mathematics education at Canterbury Christ Church University and I spend my days working with undergraduate and postgraduate students, as well as being involved in research projects. Before becoming a lecturer, I was a secondary maths teacher. I live in Strood with my husband (who attended Barnsole school many years ago) and my two children. My teaching career commenced in 1997. Since then, I have worked in a range of primary schools across Kent and Medway. I worked as an Advanced Skills Teacher across a number of Medway schools, before joining Barnsole’s Senior Leadership Team in 2012. I have been Head of School at Barnsole since May 2017 and feel privileged to be part of the ‘Barnsole Team’. So, what drives me? It’s simple – the children and, collectively, the difference we can all make in shaping their future hopes and dreams. Minutes of the Local Governing Board’s meetings can be viewed upon request at the school office, or by email request to the Clerk to the Governors.